The Caribbean Summit on Youth Violence Prevention will bring together approximately 200 youth and leaders within government, the private sector, academia, and civil society from across the region that share a common interest in developing practical solutions to address youth violence in the Caribbean. 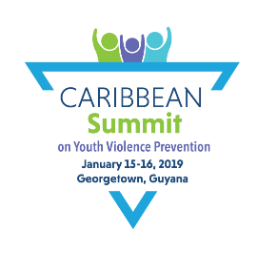 The primary deliverable of the Caribbean Summit on Youth Prevention will be a working draft of an Advocacy and Action Agenda for Youth Violence Prevention that is shaped by youth, with input from key stakeholders, and builds on existing strategic planning frameworks within the region. The Summit will also facilitate strategic discussions for addressing the constraints that youth activists and organizations face in improving safety outcomes within their communities and societies. The Summit is co-convened by the United States Agency for International Development’s Eastern and Southern Caribbean’s Mission (USAID/ESC), in partnership with UNICEF, the Caribbean Development Bank, the Commonwealth Secretariat, the Organisation of Eastern Caribbean States Commission, the CARICOM Secretariat and the Caribbean Learning for Youth Networking and Change Sessions (LYNCS) Network, will bring together approximately 150 youth and leaders within government, the private sector, academia, and civil society from across the region that share a common interest in developing practical solutions to address youth violence in the Caribbean. Achieve key stakeholder consensus on an inclusive advocacy and action agenda for youth-centered violence prevention programming in the Caribbean that builds on a pre-existing regional framework, CARICOM’s Social Development and Crime Prevention Action Plan (SDCP), and identifies pathways for measurable impact.